Enjoy this annual fundraising golf tournament presented by the Murray Bros. Caddyshack. The 19th annual Murray Bros. Caddyshack Charity Golf Tournament will take place on Thursday and Friday, April 25 and 26, 2019, at World Golf Village. The event combines parties, golf, concerts, and fun to help raise funds for a variety of charities. This fundraising event has grown into one of the largest golf tournaments in the Southeast, having raised over $4 million in its 15+ year history. The Murray Bros. Caddyshack® Charity Golf Tournament will feature the Murray Brothers and a few other celebrity friends, making this event both memorable and entertaining. The event will include a live and silent auction at the Murray Bros. Caddyshack Restaurant where dinner and cocktails will be provided by the restaurant. Tournament participants, VIPs, and celebs check in on Wednesday, April 24, 2019, from 4:00 p.m. to 7:00 p.m. at the Renaissance Resort Hotel in World Golf Village, and on Thursday, April 25, 2019, from 9:00 a.m. to 5:00 p.m. The Pairings Party, which includes dinner and cocktails and live and silent auctions, will be held on Thursday evening from 6:30 to 10:30 p.m. at the Murray Bros. Caddyshack Restaurant. The tournament begins at 10:00 a.m. on Friday, April 26, 2019, at the King & Bear and the Slammer & Squire golf courses at World Golf Village. Breakfast, lunch, and beverages will be served throughout the tournament. Also, live music will be provided for spectator’s entertainment. After the tournament is the concert and awards party, from 7:00 p.m. to midnight. Bill Murray and celebrity guests will jam well into the night at this post-tournament party. Dinner and cocktails will be provided by the Murray Bros. Caddyshack® Restaurant. 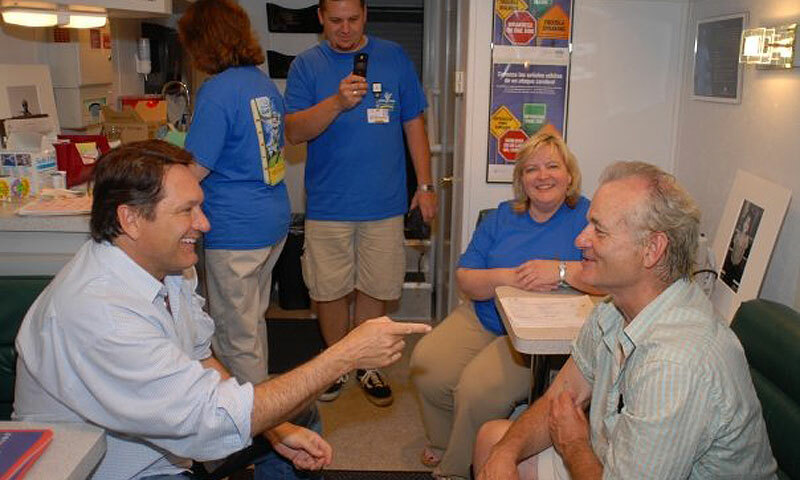 The proceeds from the Murray Bros. Caddyshack® Charity Golf Tournament will benefit a variety of charities to raise funds for medical services, educational programs, lifesaving equipment, and more. Admission: No spectators will be allowed on the course during the tournament. Limited tickets are sold for other various events. Visit here for details. When: Thursday and Friday, April 25 and 26, 2019. Where: World Golf Village is located in north St. Augustine. The Murray Bros. Caddyshack® Restaurant and the Renaissance Resort Hotel and the tournament golf courses are all within World Golf Village. The Murray Bros. Caddyshack restaurant is located at 455 S. Legacy Trail #E106, St. Augustine FL 32092. The Renaissance Resort Hotel is located at 500 S. Legacy Trail, St. Augustine FL 32092. Click the "Visit Website" button for pricing details.